Lately, the result of a cyber-selection event entitled "2010 Chinese Cities Ranking — Top Chinese Tourist Cities" which was launched by CRI Online has been made known. 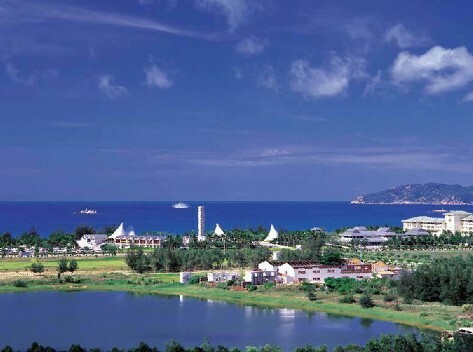 Among them, Sanya is listed as one of the Top 10 Chinese Tourist Cities, news.0898.net reports. To promote Chinese tourist cities’ unique competitive edge and comparative strengths on the international stage, CRI Online launched this cyber-selection event through cooperation with many international media and network platforms. This provides global netizens a great stage to make comments on the tourist cities in China. After several rounds of competition among over 80 Chinese tourist cities, the list of Top 10 Chinese Tourist Cities recommend by global netizens was unveiled eventually. The ten cities include Haerbin, Hangzhou, Huangshan, Jinan, Kashi, Lijiang, Luoyang, Sanya, Suzhou and Xi’an.